All of these art world players are still walking the streets, along with hundreds of others, many known to the art community and the authorities. Though there exist registers of stolen and Nazi-confiscated art, money launderers, forgers, and other forms of art crime, there is none for for these most insidious criminals and their collaborators. 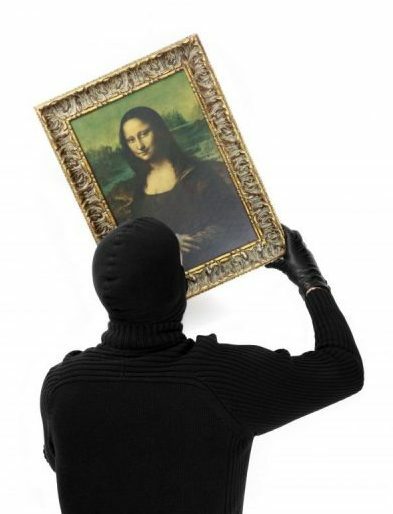 Law enforcement’s hands are mostly tied by lack of funds to pursue art crime. Legislation and regulation are severely wanting. Romeo, wherefore art thou? Just look over your shoulder. The end buyer of Leonardo’s Salvator Mundi, Saudi Crown Prince Mohammed Bin Salman, whose regime was criticized for the purchase, quickly traded the work to Mohammed Bin Zayed, defacto ruler of the United Arab Emirates, for a large yacht. A great idea for some of the other players in the “ego-market”. Just think: one can trade art for large houses in the Hamptons, Aspen, Palm Beach or even a simple apartment on the 100th floor of a Fifty-seventh Street condominium. Finally, a rational reason for buying modest works of art at immodest prices. Does this foretell the next bull market? Probably not! How did this remarkable event transpire? As reported by Artwatch, U.K.’s Michael Daley and the Daily Mail, it seems that both Mohammed Bin Salman and Mohammed Bin Zayed were concerned that their enemy, the Qatar royal family, headed by Emir Sheikh Tamim bin Hamad Al Thani, would be the buyer of Salvator Mundi. As the rulers of Saudi and Abu Dhabi did not discuss the matter between themselves, they ended up bidding against each other rather than against Qatar. The Al Thanis had actually been offered the painting a year earlier for 80 million but decided against purchasing the work. Could the reason have been the extent of the restoration? The Saudis and Abu Dhabis, while trying to enforce sanctions imposed on Qatar, finally caused Salvator Mundi to be sold for 450 million. It’s said that “wealth is not typically a product of stupidity…” Is this the exception that proves the rule?